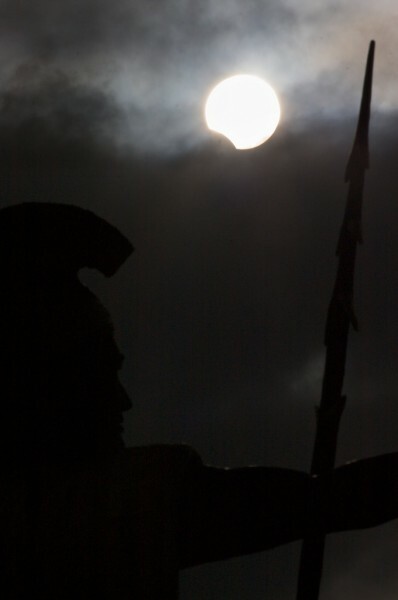 The partial solar eclipse in Hilo, Hawaii on Tuesday, Jul 21, 2009 at 5:43 p.m. HST above the King Kamehameha I statue at Hilo Bayfront. Shot with Canon 40D, 1/8000@f/32, 300mm, ISO200. Very cool photo, Baron. Well done!